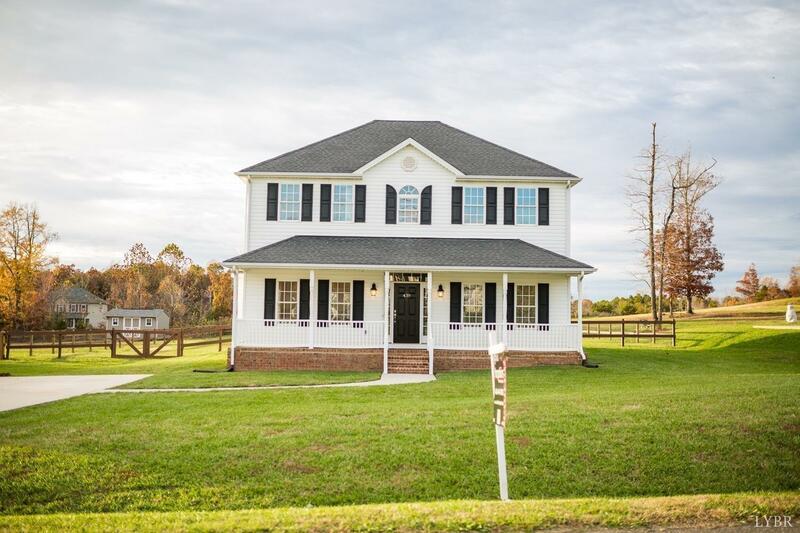 Gorgeous move-in ready home now available with as little as zero down payment! Convenient neighborhood that is family friendly & perfect for walks, riding bikes, and making new connections. Inviting rocking chair front porch. Open floor plan with huge living room and open kitchen that is ideal for cooking & lively conversations. Custom kitchen island & ceramic tile add to the incredible value of this home. Elegant high ceilings. Spacious formal dining room ideal for holiday gatherings, game nights, or even a home office. Searching for the perfect yard? This home boasts a large level FENCED back yard & custom built shed with plenty of extra storage space. Ultra-convenient upper level laundry. Large master bedroom with walk-in closet and luxurious master bathroom. Fresh paint throughout. Enjoy serene sunsets on your patio as the kids play in the evening! This beautiful move-in ready home is a true gem, and will not last long at this price. Call today to see this home before it is SOLD!